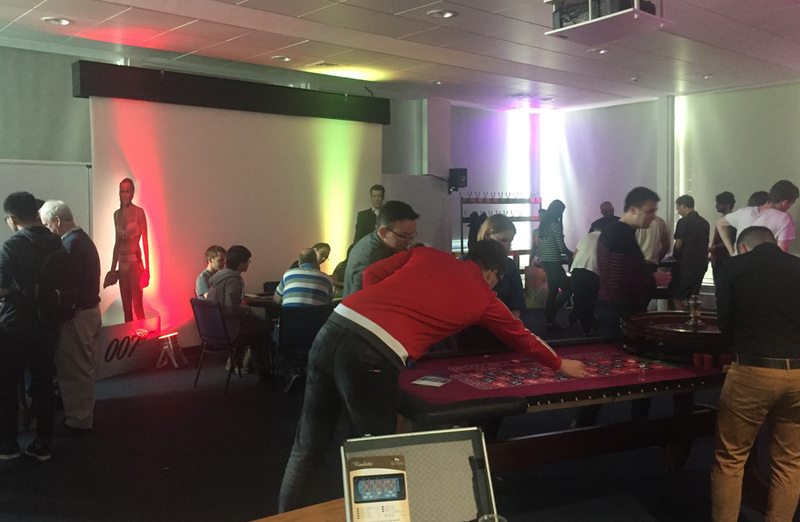 Team Challenge Company was pleased to organise and host one of our Fun Casino Nights for the new students of the Physics department at Manchester University. 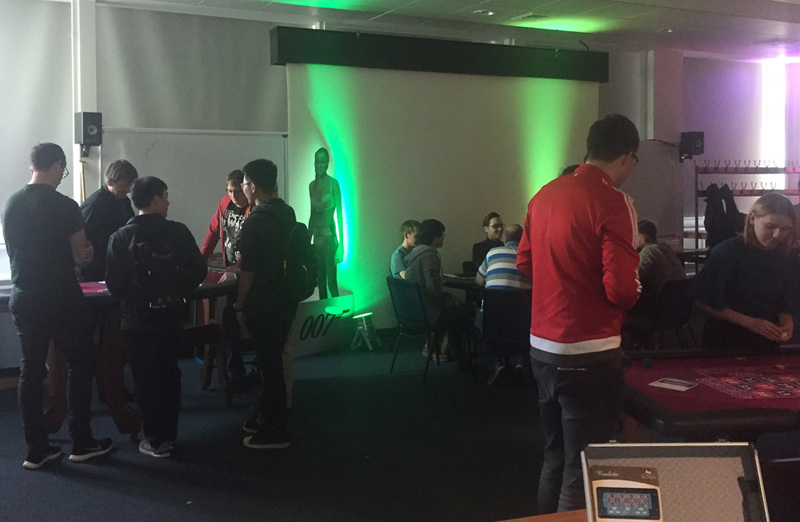 For the past few years we have been delighted to have worked closely with the university to create a fun atmosphere for the new additions to come in and get to know their peers within the department. 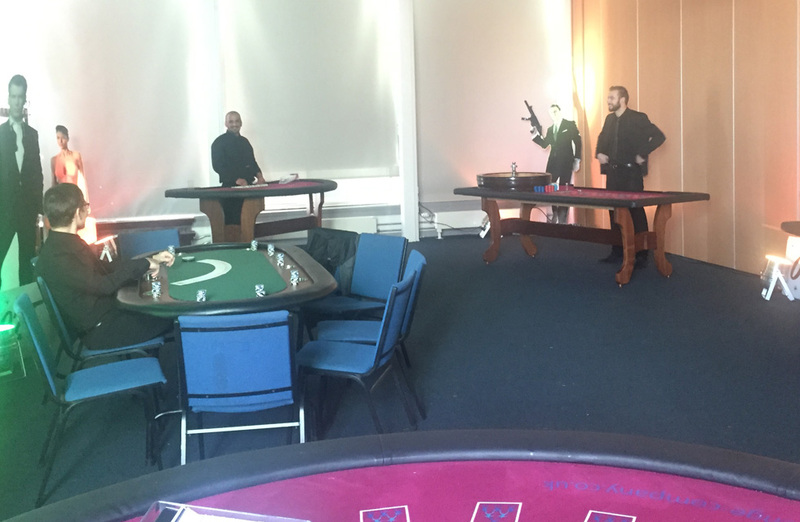 The scene was set; two blackjack tables, two roulette wheels and a poker table. 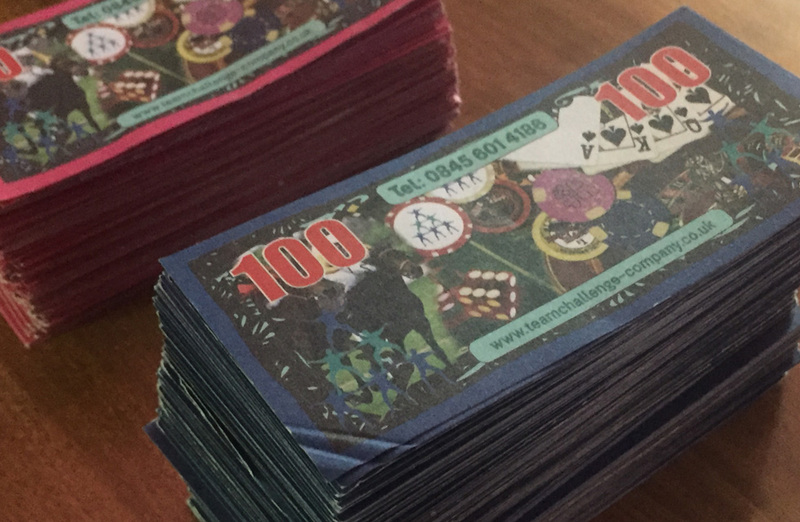 Each player was given £30 of official Team Challenge Cash (unfortunately unable to be used outside our events!) and was sent to play. If anyone ran out of money, they could borrow some from our banker, which had to be paid back double! Whoever had made the most profit at the end of the event had the pleasure of taking home our Team Challenge Company Winners Trophy! The biggest loss would take the home the not so exciting wooden spoon. 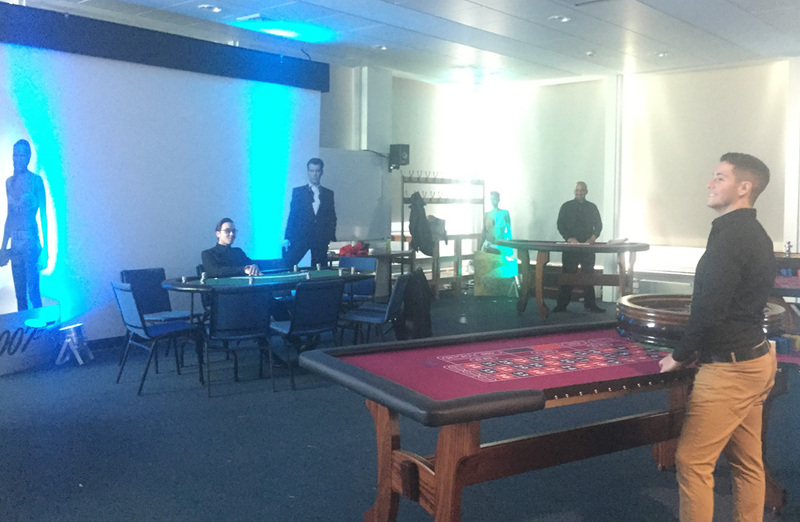 It became clear early on that a few of our guests thought themselves “High Rollers”. Adrian, a gentleman who everyone should consider for a poker night if they would like to make a profit, borrowed £300 after two hands on the blackjack! Connor was another regular at the banker’s table. 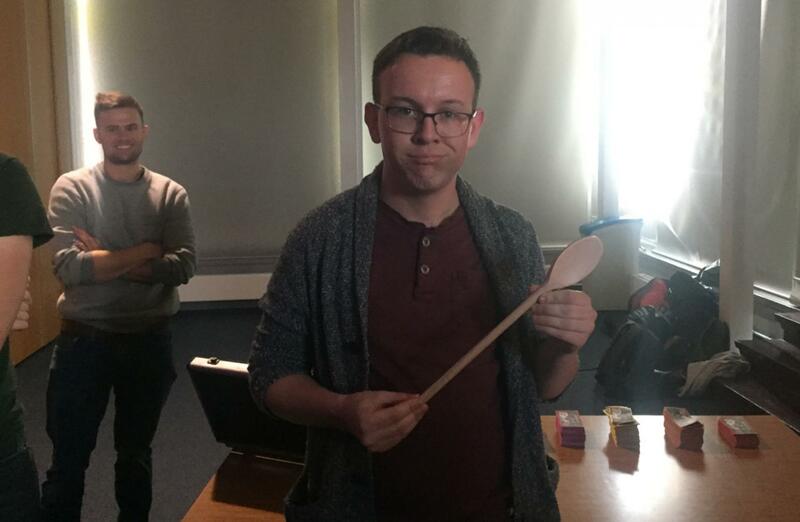 He claimed that he wanted the spoon as he needed one for his new student digs! But quite a few members showed that they were not beginners in the casino, Corry stopping to make a small withdrawal, but turning it quickly into a sizeable profit on the roulette, even after clearing his debt to the banker. Of course there could only be one winner. To add to the tension, two of our gentlemen were sitting on the same profit margin! Both sitting with £300 in their hands were Corrie and Elliot. To decide who would take home the trophy, we had them choose even or odd on the roulette wheel, with the bounce of the ball deciding who was victor. 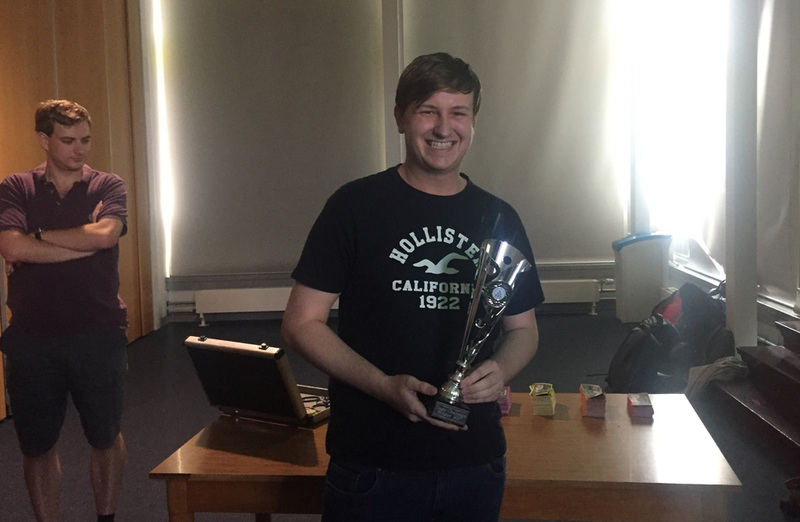 Elliot chose wisely and took the Team Challenge Company Winner's trophy, we’re sure it will sit on his mantlepiece for years to come. By the same token, there can only be one loser. Connor, after many spirited attempts to clear his debt, ended up deeper in the hole, owing £600 to the banker by the end of the afternoon! 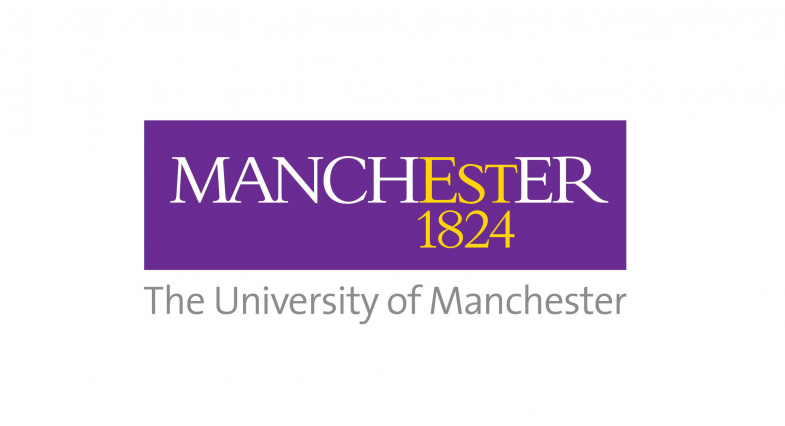 Ourselves and Manchester University have been partners for the last few years in welcoming students to the faculty, and we were delighted once again to provide some fun entertainment to welcome everyone to the University! We hope we will be back to help for years to come.